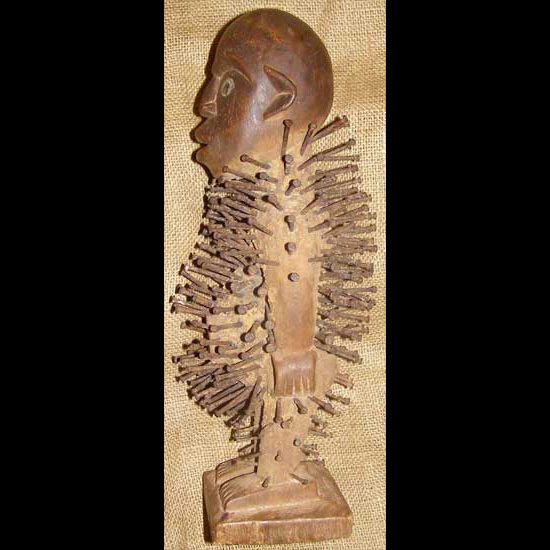 Art and masks from the Bakongo people of the Congo. 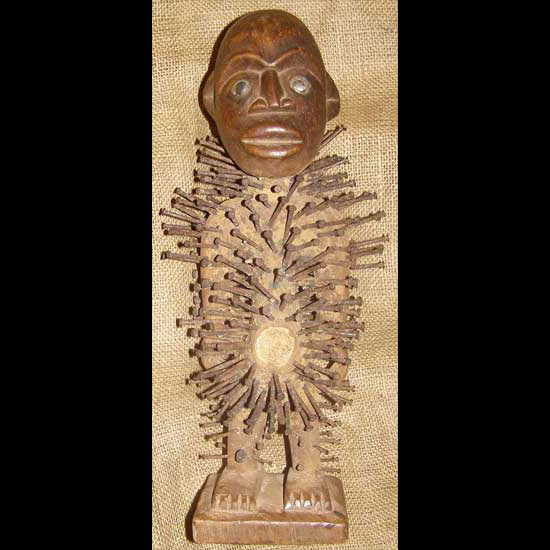 This nail fetish from the Bakongo people is 14.5 inches tall and 6 inches wide. It stands up on its base, and would display nicely on a table or shelf.